...I just finished a Baby Blanket. 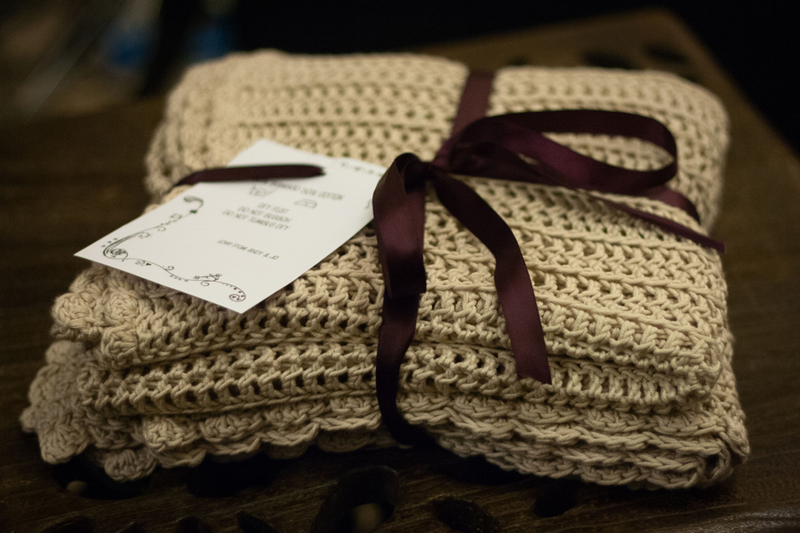 The pattern is Classic Baby Blanket. I didn't follow the pattern exactly because I used dk weight yarn where it called for aran, and therefore a smaller hook, though perhaps not small enough. My blanket didn't wind up being all that ribbed, but it is pretty and very very soft after I washed and sort of blocked it. If you're interested in the yarn I used etc, you can check it out on my Ravelry Project Page. 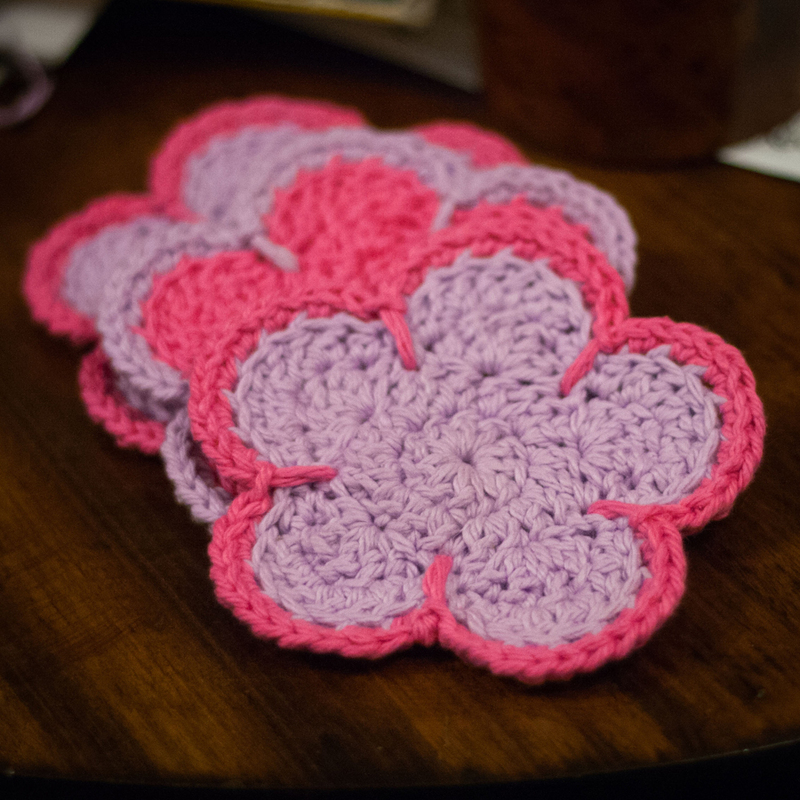 I am making Flower Coasters for Mothering Sunday, which is this Sunday in the UK. I am going to put the pattern on this blog when I'm finished, if you want to make some too. I don't think I'll get it done in time for Mother's day over here, but it should be done for Mother's day in the US at least! I keep eyeing up a recipe for Strawberry Milk Cake. I recently got some bright food colours (of which more in another post) and the idea of making a bright pink cake appeals. Rather too much. I rarely make big cakes - I normally go for cupcakes. So I might make this for my birthday next week, although I don't think I'll have anyone but my husband to eat it with on the day... I'll have to see.